It happens on a daily basis. No matter how much we immerse ourselves in car culture, each venture onto the highway brings us face to face with an automotive creation that instinct tells us we shouldn’t crave, yet we desperately yearn to experience. It’s a want we rarely share for fear of public ridicule but in a selfless act of public service, I’ve created an outlet for my ‘problem’ which I’ll populate over the coming months. Perhaps it might help you too. Ladies and gentleman, welcome to Guilty Pleasures. Many of us lament the passing of what ended up being known as MG Rover and reminisce through rose-tinted glasses at old sales brochures from the early 1990s, when everything looked like it was going the company’s way. A generally positive relationship with Honda, a wide product range from the original (elderly) Mini to the prestigious (and also elderly) Range Rover and well-received, more modern metal such as the re-engineered Metro, 200 Series and newly grilled 800 Series. But a troubled stewardship and break-up under the auspices of BMW and the subsequent debacle of the Phoenix Four’s mis-management saw the final nails in the coffin of a once proud car maker. Hindsight’s a wonderful thing but that retrospective glance marks summer 2003 as the start of that terminal decline. Symbolised by the simplified Rover longship logo that was simultaneously introduced, the Streetwise was welcomed in with all the rapture of a one-handed clap. 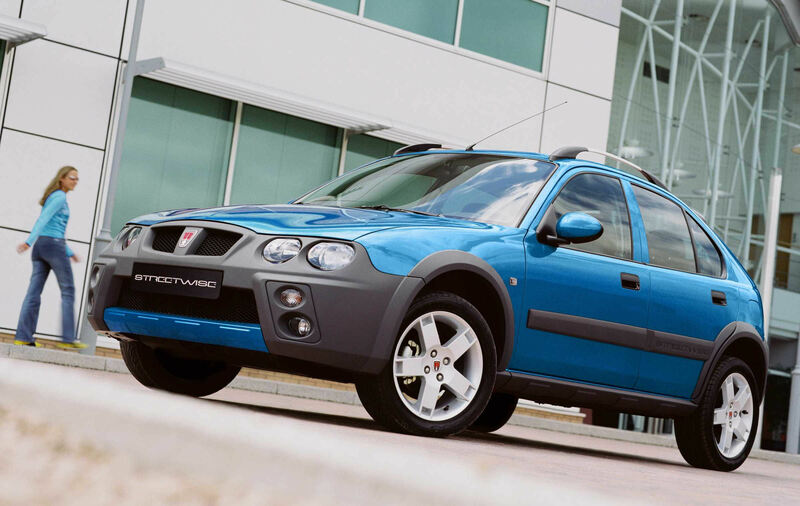 This being Rover the Streetwise wasn’t a new car at all, but a tarted up version of an existing car with a new name. Underneath all that grey cladding and jacked up ride height was the 25 hatchback, itself a facelift of the 1995 200 Series, which itself was a parts-bin amalgam designed to fill a gap in the range. Fulfilling a niche nobody even knew needed filling, Rover described the Streetwise as an urban on-roader. In other words a faux-by-four of the lowest order. Chunky alloys on regular tyres fitted to a regular front wheel drive chassis was seen as an afront to the memory of the now divorced Land Rover. But, this was a company on its knees and was doing all kinds of inventive things on a shoestring budget whilst still decontenting the cars of any additional expense possible. Disappointingly, it didn’t grab the hip kids’ attention anywhere near as much as it did the buying power of the Grey Pound and like many small cars that marketing departments claim are clearly focused to under 25s, the Streetwise gained favour with pensioners. Yet, for all that, there’s just something about the Streetwise that makes me feel fond of it, there’s even something vaguely cool about that chunky body addenda and roof rails. 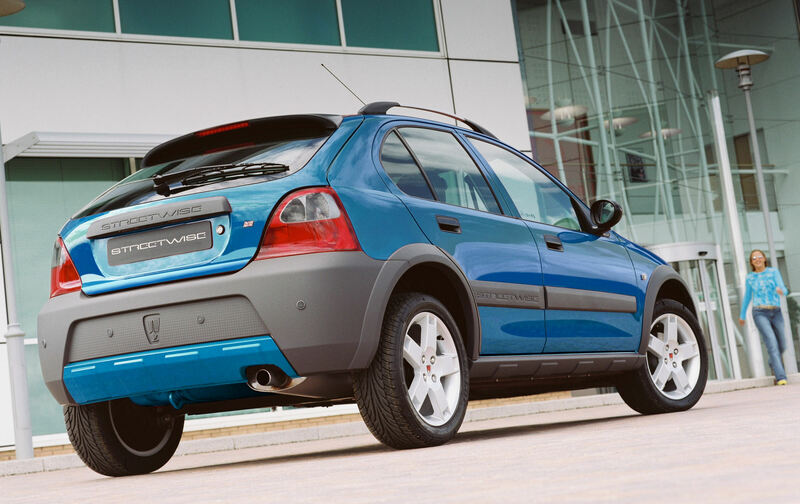 And maybe Rover were on to something – they certainly weren’t the first with this concept but they did help popularise the concept of regular B-segment hatchbacks dressed in SUV finery: the Polo Dune and C3 XTR both debuted after the Streetwise. The Streetwise was also resurrected by the eventual buyer of the remains of the Longbridge assets, being built and sold in China by SAIC as the MG 3SW. Would I have one? Go on then – a late 5-door, with the improved interior and turbo diesel engine if you please.